CRAZY COOL GROOVY!!! : REALITY TV TRAILER - GROWING UP HIP HOP: ATLANTA - SEASON 2!!! REALITY TV TRAILER - GROWING UP HIP HOP: ATLANTA - SEASON 2!!! The crew is back with more excitement than ever for GROWING UP HIP HOP: ATLANTA - SEASON 2!!! 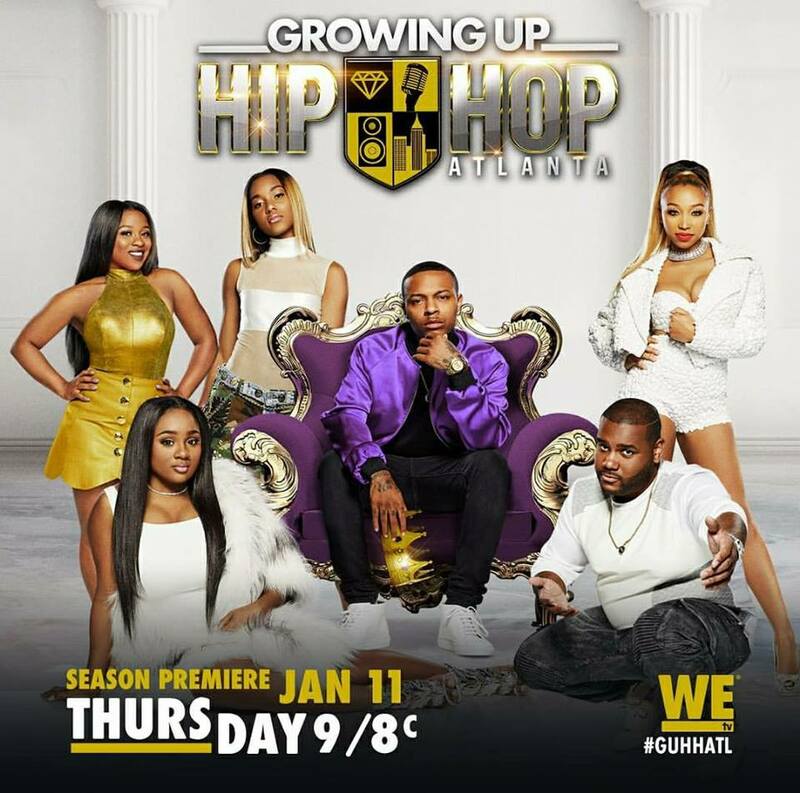 GROWING UP HIP HOP: ATLANTA - SEASON 2 debuts Thursday, January 11, 2018, 9:00 PM EST on WE TV. Will YOU be watching GROWING UP HIP HOP: ATLANTA - SEASON 2??? On this season of Growing Up Hip Hop Atlanta, a tight-knit crew of friends will reveal the perks and perils of being born into Hip Hop royalty. But as they hustle for independent success, a toxic rivalry unfolds. Unforeseen danger marks Shad Moss aka Bow Wow’s return to ATL when he decides to release his first album in six years. The hip hop child star, now 30-years-old and a father, is ready to bow out of the music industry gracefully with one last hit, but will he make it out unscathed? With a toddler and an on again/off again baby mama in L.A., along with a bad-boy track record and a long rap sheet of women, Bow Wow struggles to stay focused. But his Atlanta family forces him to face the music as they push him to make the ultimate comeback. It’s time for Lil’ Bow Wow to re-enter the music industry as Big Bow Wow under the tutelage of his surrogate fathers, legendary rapper and mega-producer Snoop Dogg, and the “Godfather” of Atlanta hip hop Jermaine Dupri, along with the guidance of Da Brat, the first female solo rapper to sell over 1 million records. Alongside Bow, battling to step out of their legendary parents’ shadows in one of the biggest hip hop capitals in the world is Shaniah Mauldin, daughter of Jermaine Dupri and sister figure to Bow, Reginae Carter, the daughter of Lil Wayne and Toya Wright, Zonnique Pullins, the daughter of hip hop power couple T.I. & Tiny, Brandon Barnes, the son of famed Hip Hop manager Debra Antney and brother to Hip Hop star Waka Flocka Flame, and Brandon’s cousin Ayana Fite, the daughter of The Beastie Boys mainstay, DJ Hurricane. In hip hop, there are no friends when it comes to taking care of business. It’s time for the next generation to bring their A game and take their talent to the next level. But, when things hit the streets of Hotlanta, all the fame could come with a heavy price.